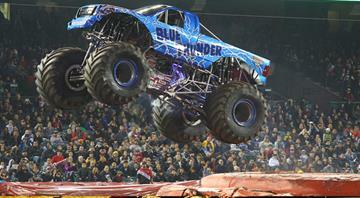 Join your Pack 151 friends at Monster Jam's final show at the Metrodome! Over 100 of us attended last year. Don't miss the action! 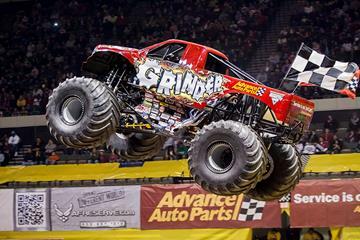 USHRA Monster Trucks include Grave Digger, Maximum Destruction, Advance Auto Parts Grinder, Lucas Oil Crusader, US Air Force Afterburner, El Toro Loco, Monster Mutt, Son-uva-Digger, Avenger and Brutus. 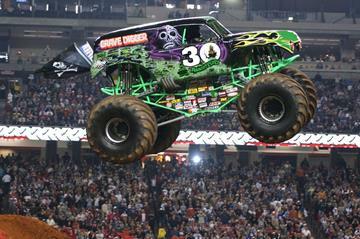 This will be the last time to see Monster Jam in the Metrodome. 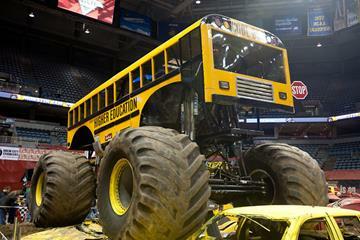 The next event may be held in the new Vikings stadium 3 years from now. It's expected that this will be a sold out show. Seat location: Upper level - likely in section 201 or 202. 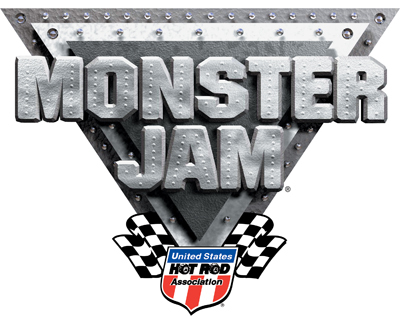 Patch: Ticket price includes a special new Monster Jam scout patch, if you request it. Pick up your tickets before the event: There will be no "Will Call" option for these tickets at the Metrodome. You'll be notified by email when you can pick up your tickets. Pick up location will be 4545 Garden Way N. likely the week of Nov. 18. Your completed registration form and full payment must be received by the Outings Chair no later than Thursday, Nov. 14's pack meeting. 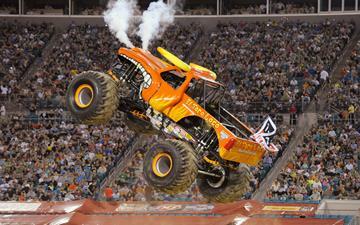 Monster trucks are very loud. It's not uncommon to see kids & adults wearing foam earplugs, headphone-style earmuffs or both. Bring hearing protection.